FRANKFURT -- Volkswagen Group's directors will meet on Thursday to discuss a far-reaching shake-up of its structure and leadership, in a test of unity for the automaker's often divided management, labor chiefs and other stakeholders. CEO Matthias Mueller is expected to be replaced by VW brand boss Herbert Diess after failing to refocus the group's portfolio of car brands, ranging from Skoda to Lamborghini. That was a key pillar of "Strategy 2025" which promised extensive cost savings to fund investments to help transform the company into a leader in cleaner cars and new mobility services after the diesel emissions scandal of 2015. VW's efforts to reform have often been stifled by powerful labor unions who command half of the seats on the board of directors, and the German state of Lower Saxony, which controls a 20 percent voting stake. They seek to defend 100,000 VW jobs in Lower Saxony, while management wants to raise productivity and efficiency to bring it closer to rival Toyota. The supervisory board and the executive committee: VW's 20-seat supervisory board, or board of directors, grants equal representation to workforce and shareholder representatives. But VW differs from other German companies in one respect -- Lower Saxony, where VW is headquartered, gets two of the 10 seats allocated to shareholders. Together with worker votes they can tip the balance of power. Porsche Piech clans: The Porsche and Piech families control 52 percent of the votes in Volkswagen through their family holding company Porsche Automobil Holding SE. They are the driving force behind recent efforts to replace CEO Mueller. The ruling family comprises about 80 people pursuing diverse interests and careers ranging from design to real estate. Head of the clan is patriarch Wolfgang Porsche, grandson of VW Beetle creator Ferdinand Porsche. The family lost its dominant figure at Volkswagen in April 2015 when Ferdinand Piech, the carmaker's former CEO and chairman who spearheaded its global expansion, quit after more than two decades at the helm following a power struggle with then CEO Martin Winterkorn. The void has been filled by VW's powerful labor unions, which already had significant influence at the automaker before the emissions crisis. 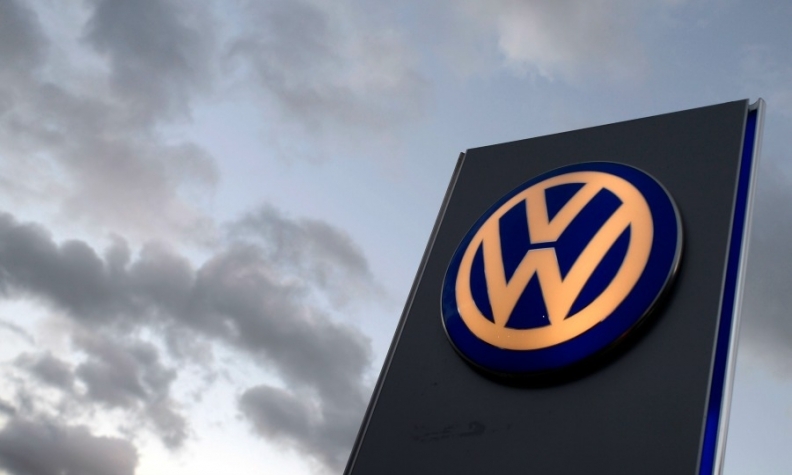 Under proposals to be discussed on Thursday, one of their representatives may get a management board seat giving workers unprecedented influence and access over VW strategy. Qatar: In 2009, Qatar emerged as a stakeholder after it helped stabilize Porsche SE's rocky finances in the wake of the Stuttgart-based company's failed attempt to take over Volkswagen. A portfolio of derivatives on VW shares that Porsche had accumulated was hastily sold to Qatar, which now owns a 17 percent Volkswagen stake. Labor representatives: Volkswagen is similar to other large companies in Germany, which, under a policy known as co-determination, or Mitbestimmung, requires supervisory boards to grant equal representation to workers and members elected by shareholders. But labor unions wield a greater influence at VW than at other German companies, a situation whose origins lie in the 1930s when the Nazi regime used expropriated union funds to build the massive plant in its home town of Wolfsburg. VW workers were granted wide-ranging rights after the war to prevent unions from suing for ownership. Over 90 percent of the Wolfsburg plant's 60,000-strong workforce are members of Germany's largest union, IG Metall, and the 10 labor representatives on the supervisory board have a say in appointing members of the management board. Labor leaders opposed Mueller's plans for selling motorcycle maker Ducati and have scuppered other cost cut plans in the past. Former group CEO Bernd Pischetsrieder - an ex-BMW CEO - and former VW brand chief Wolfgang Bernhard - a former McKinsey consultant - were both effectively ousted after clashing with labor leaders over cost plans. Labor’s top representative, Bernd Osterloh, has repeatedly clashed with VW brand manager Diess who was hired three months before the diesel scandal broke to turn around the business. Having accused Diess of betraying workers and trying to use the emissions scandal as a pretext for pushing through job cuts, the two men struck a far-reaching deal in November 2016 on cost savings and job cuts via natural attrition. German worker jobs are now guaranteed until 2025. Lower Saxony: VW's power structure rests on close ties between management, workers and politicians from Germany's northwestern state of Lower Saxony, where VW is the largest private-sector employer with over 100,000 workers at six factories. Wolfsburg, where Volkswagen is headquartered, has the highest per capita income of any German city. When VW was privatized during Germany's postwar economic miracle, Lower Saxony was given special ownership rights under the so-called Volkswagen Law that gave it supervisory board seats and a blocking minority over strategic decisions such as plant closures and takeovers. For Lower Saxony, represented on the VW supervisory board through Prime Minister Stephan Weil and Economy Minister Bernd Althusmann, the key is to protect local jobs, a goal shared with VW's unions, which effectively gives the pro-labor camp control of the board.